And if you’ve traveled to Lake Elsinore — or practically any stretch of nature between San Diego and the Central Coast — you know this year’s amazing superbloom proves him right. All that explosion of orange, yellow, and purple is a potent reminder that spring is the perfect time to refresh, rejuvenate … and clean. Deep-cleaning the house, clearing out the garage, and removing the winter clutter can feel very satisfying. Why not clear all that unnecessary paper while you’re at it?! Think of your paper system as a garden. Consider how your garden looks when you haven’t given it the attention it deserves: Weeds grow every which way, unkempt flowers need pruning, and some odd-looking new growth starts to plunge forth after a long winter’s nap. If only we could give the paper system inside the house or office the same attention as our outdoor garden. Here are a few tips to help you clear out the clutter and start your own superbloom for the season ahead! (1) Declutter your space. Before getting to individual papers, do a “clutter check” of your whole house. Clutter drains your energy and consumes your physical and mental space. To declutter your home, attack each room systematically, beginning by removing anything that doesn’t belong and taking it to the room it should live in. Then go through the room, boxing up for donation anything that doesn’t give you joy or value. Rule of Thumb: If it doesn’t “lift you up” when you look at it … it might be time to say goodbye! (2) Clear out the backlog in your filing system. We all have those outdated pieces of information that no longer correspond to our current life activity (bills, invitations, past home inspection reports, etc.). But we often don’t create space for the new when we continue to cram the most important and current information into our systems. However, by taking the time to clear out the old, you will find that the new information (the important stuff) will be much easier to manage, handle, and maintain. It will have a specific home where it can be found again when needed. Rule of Thumb: 85 percent of what is filed is never looked at again! (3) You will only be as organized as the products you use. If you are always flipping your files over to reuse them and your file folders are in bad shape, then head on over to Staples or any office supplies store and treat yourself to a brand-new box of files. 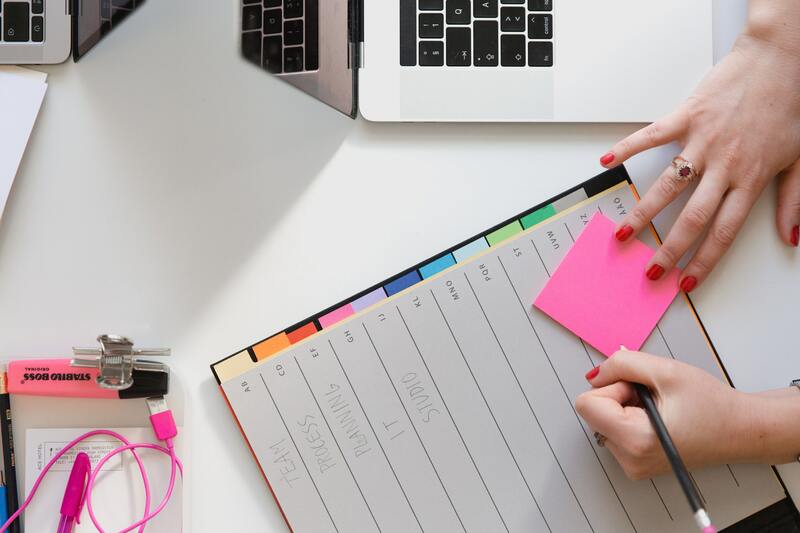 While you’re there, check out the plethora of organizational tools and supplies that can help you stay on track with your spring organizing tasks. Rule of Thumb: Basic paper-organizing supplies include: Hanging files with tabs, manila or colored file folders, labeler (if possible), and of course, a good working filing cabinet. (4) Weed as you go. Put a stop to the piles that accumulate by taking five minutes here and there to weed through the mail pile or the bill pile. It is much easier and less time-consuming to work through the mail as it comes in, rather than letting it pile up and finding yourself overwhelmed ignoring the piles that abound. Rule of Thumb: Remember the garden/paper system analogy and don’t let the “weeds” in either place become too out of control! Happy Organizing and Happy Spring!